One of Renato Usatîi's friends was detained in Spain for frauds. According to ava.md, Alexandr Grinberg, owner of Marbella FC, was taken into custody on suspicion that he, along with 10 more Russian citizens, have made Spain to lose 30 million euro. According to the investigation, the men have committed frauds using three companies: Marabella FC, a bottled water industry and a golf club. The law enforcement of Spain has collaborated with other countries from Europe and were on their trail for over 4 years. The 11 men are also known members of the Izmaylovskaya Gang and the Solntsevskaya Organized Crime Group. 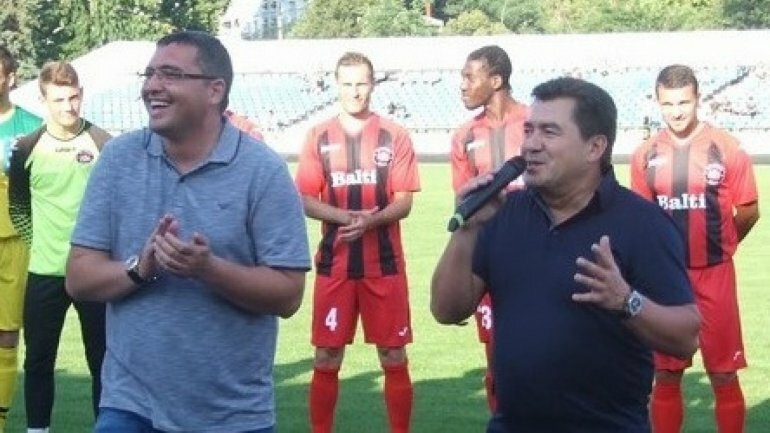 Two years ago, the Mayor of Bălţi has announced that his friend, Alexandr Grinberg was willing to donate millions of lei for the local football team. The press has written numerous times regarding Usatîi's connections to the Russian criminal world. The fugitive would often boast about being friend and neighbor with "thief in law" Grigore Karamalak, known as Bulgaru. Karamalak has also run away to Russia in order to escape being prosecuted in Moldova at the beginning of 2000. Renato Usatîi is wanted by police on suspicion of ordering the assassination of Russian businessman Gherman Gorbunţov, as well as getting in the way of the investigation by providing fake leads regarding the killer, Vitalie Proca. He fled to Moscow last year, where he remains up till present days.